Nothing to report this week – it’s not the time of year where I see too many movies, but I’ll have a few to review over the next few weeks. 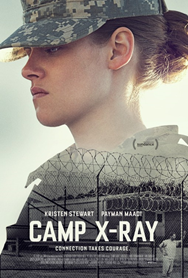 Camp X-Ray (recommended): Kristen Stewart got serious in this Sundance 2014 hit in which she plays a Guantanamo Bay guard who befriends a detainee, portrayed by Payman Maadi from “A Separation.” Maadi is terrific and Stewart performs ably enough in an uncomfortable film that is occasionally right on target. Fishtail (mixed bag): I’m not even sure what to say about this sixty-one-minute documentary that I saw at the 2014 Tribeca Film Festival, which focuses on a ranch in Montana. What I remember most is watching a cow give birth, which aside from being just peculiar is hardly the most enthralling thing to watch. 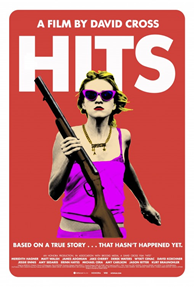 Hits (mixed bag): There is something truly clever and insightfully hilarious about actor David Cross’ directorial debut, which I saw at the 2014 Sundance Film Festival. Matt Walsh and Meredith Hagner are great as a father and daughter whose worldview is decidedly skewed in this comedy that diverges a bit too much from any coherent direction.